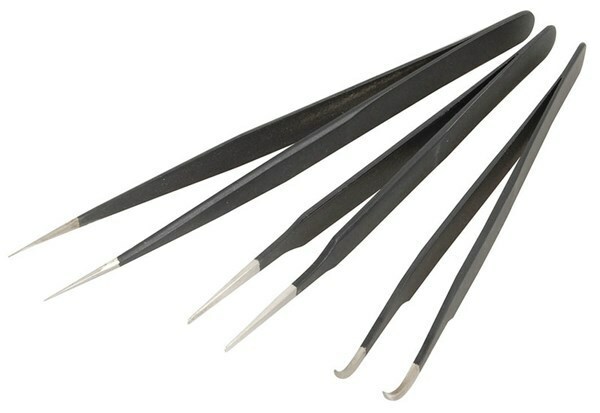 Set of three stainless steel tweezers. 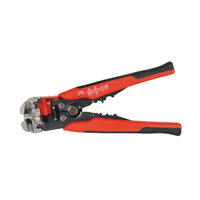 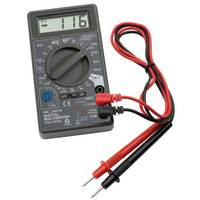 Suitable for electronics and general DIY. 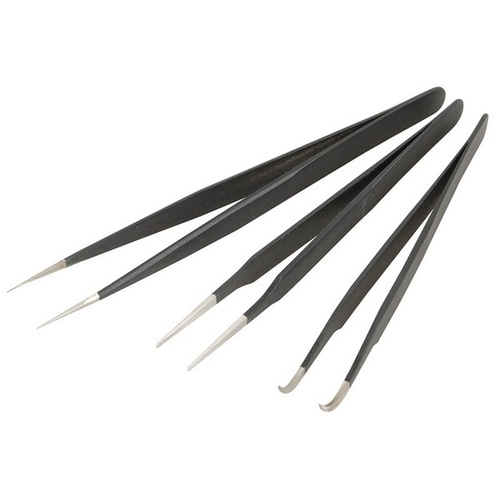 Package includes Duckbill Head, Angles Fine and Straight Super Fine Tweezers. 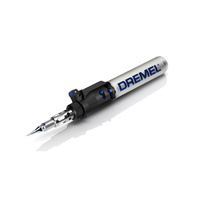 The three tweezers feature ESD coating which reduces static discharge issues.